In concrete5, you can define custom groups and add users to these groups. 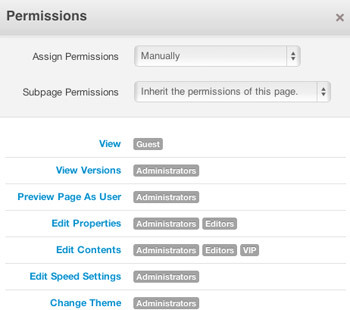 Administrators can then set different levels of permissions for each user (read, write, edit, delete). With Advanced Permissions enabled, more granular permissions can be set on concrete5 components like blocks, areas, and more. Practically any user can be given access to any part of your site, whether it involves specific content, pages or administrative tasks. 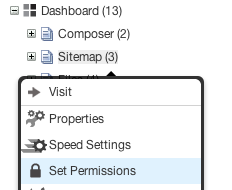 Check out our Permissions documentation for more information.